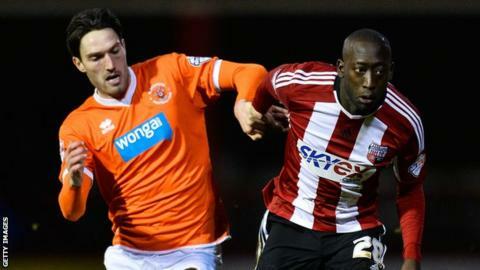 League Two side Morecambe have signed Blackpool midfielder Connor Oliver on loan until the end of the season. The 22-year-old has played eight times this season, but has not featured since November's 4-0 Johnstone's Paint Trophy defeat by Wigan. Oliver, who began his career with Sunderland but never appeared for the Premier League side, had a three-game loan spell with Hartlepool in 2014. Morecambe are currently 18th in the table and face Plymouth on Good Friday.